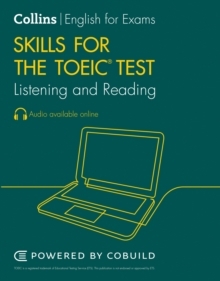 Collins Skills for the TOEIC Test: Listening and Reading is a unique skills-based exam preparation course. TOEIC (`Test of English for International Communication') is a test of English proficiency for people in the workplace seeking to work in an international environment or looking for promotion within their organisation. The TOEIC test questions simulate real-life situations relevant to the global workplace. Score reports for candidates provide accurate, meaningful feedback about a test taker's strengths and weaknesses. 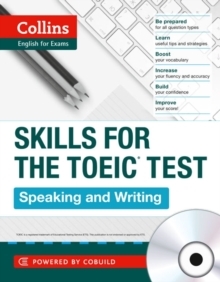 Collins Skills for TOEIC is a two book series (1 Listening/Reading; 2 Speaking/Writing) and focuses on helping learners handle the integrated skill aspect of the TOEIC test, where they are required to produce responses based on mixed input.  Each book in the series therefore will contain all four skills but in different weightings. Summary*Quick Guide: question overviews give learners an easy reference to the characteristics of each question type*Challenges and Solutions: these sections offer strategy and skills reviews to help learners learn how to overcome the most common challenges. *Get it right: gives a quick overview of the most important steps for doing well on each question type and includes useful vocabulary and expressions*Answer Analysis: teaches learners how to rule out distracter answer options*Progressive Practice: encourages independent learning by offering a graded progression of content and task sets*Review sections: offer timed TOEIC test-taking guides and help learners practice what they've learned in a simulated environment*Audio CD: enables effective TOEIC practice*Highly experienced author team, who have written TOEIC materials before and have also worked as teachers themselves, preparing learners for the test.